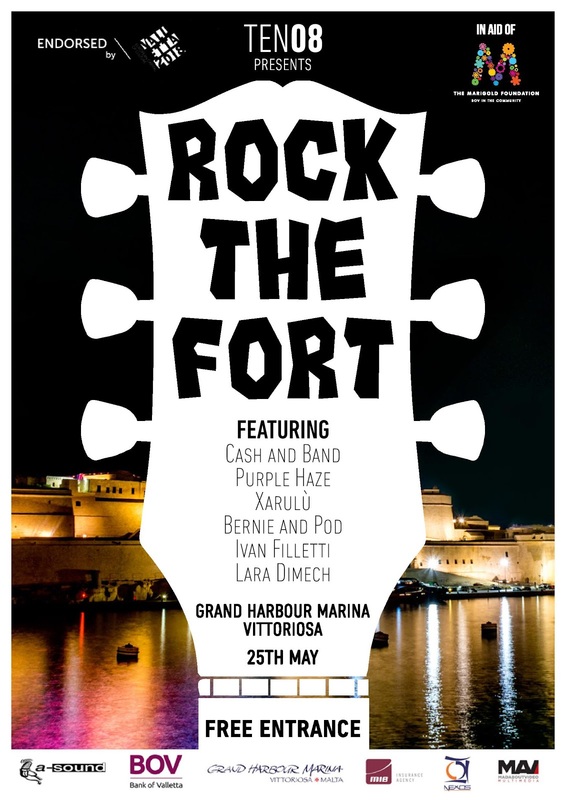 Happening at the Grand Harbour Marina,Vittoriosa, just beneath the magnificent Fort St. Angelo, the concert will feature Cash&Band, Bernie&Pod, Xarulu, Purple Haze, Lara Dimech and Ivan Filletti. Performing live hits from Pink Floyd, Queen, Led Zeppelin, AC/DC and many more. THE KNIGHTS DEFENDED IT - THE TURKS COULDN’T DESTROY IT - WE WILL ROCK IT!